Welcome! We are so glad you visited our site today. 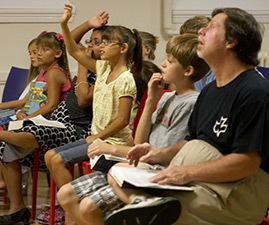 Calvary Chapel Lebanon offers quality care and programming for kids of all ages. It is our mission to teach the children in our community who God is, through His Holy Word, train them in the act of prayer and spiritual warfare, help them learn who God has created them to be, foster relationships and community within our programs and show each child the love of Jesus. We desire to see the next generation of believers equipped with the Word of God, using the unique gifts that God has placed into each individual and loving the Lord with all their heart, soul, mind and strength as they make disciples in all the world. At Calvary Chapel Lebanon we believe that children need to be taught God’s Word beginning at a young age. As they grow, they will begin to develop a relationship with their Father, their Savior Jesus Christ and with the Holy Spirit, understanding the role that the Trinity plays in their lives. We Believe that God has created each person with unique gifts and purposes. It is our desire to help each child discover their spiritual gifts and walk alongside of them as they grow and develop these gifts. We Believe that prayer is powerful. 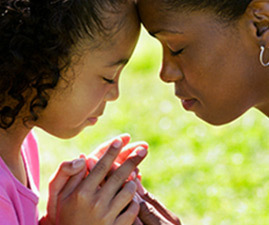 We desire to teach our children how to pray and help them to grow in their prayer life with the Lord. We Believe in training up children from a young age to then send them out to do the work of the Lord as they reach adulthood. 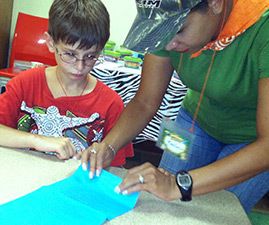 Below please find a complete listing of our programs. Please note that there are currently no children’s ministry programs available during the 8am service. Please feel free to take your child to the family viewing room in the library for a more family friendly environment. We are so glad that you and your kids are here! Please ask our greeters if you need any assistance in finding our classrooms. The doors to the children’s ministry wing open 15 minutes prior to the start of the 2nd and 3rd services. We ask that you check your child into their class through our computerized check-in process located in Room 16. Check-in will remain open 20 minutes after the start of the service. Please note- 1st-4th graders will gather together in room 30 for a time of worship prior to going into their assigned classrooms. 5th – 8th graders will gather together on the balcony with their teachers and congregation to worship prior to going into their assigned classroom. 5th-8th graders will gather together on the balcony with their teachers and congregation to worship prior to going into their assigned classrooms. There is a family viewing room with live feed of the service located in the library at the top of the stairs on the second floor. If your child isn’t ready to be in a classroom setting, we ask that you use this room so as not to disturb those in the sanctuary. We appreciate your thoughtfulness to those around you! For the safety of your child, our teachers have all been cleared with background checks. We have also implemented a check-in and check-out system for children ages infant-6th grade. We ask that every child be checked in by a responsible adult who will be given a number for that child. We will need you to present that number when you pick up your child. If you are needed during the service, your child’s number will appear on the overhead screen in the sanctuary and we ask that you come back to where you checked in as soon as possible.